Every half a day, I’m looking for something I put away a few days ago or more. Two teenagers drop a lot of items at places where they’re not meant to be. And one has to be consistent as the boss of the house. 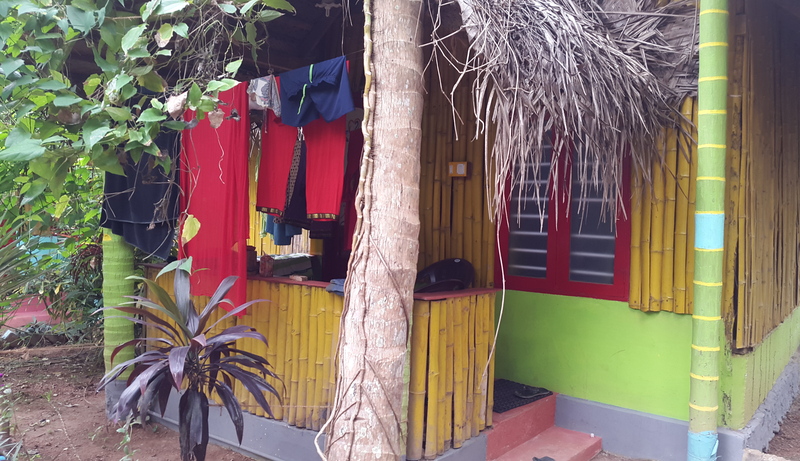 Living two weeks in this tiny hut in South India is a real salvation for a mother. First, there isn’t a lot of space to spread out things; and second, the number of belongings for the vacation is extremely reduced to the one at home. I’d wish I could spend more weeks of the year with fewer items around my boys and me. I’m sure one could concentrate on more important things than looking for our belongings. I admit it doesn’t have to be the monk style, but just a little bit more concentration on the essential of life. This article offers clear idea in support of the new visitors of blogging, that truly how to do blogging.